Croix-des-Gardes is situated in the western part of Cannes, between Le Cannet in the north and Bay of Cannes in the south. This prestigious district is located on the slopes of the Massif de la Croix-des-Gardes and is the second highest point of Cannes. It also includes Le Vallon Provençal, Pierre-Longue and Font-de-Veyre. Whether you come here for business or for pleasure, Croix-des-Gardes will charm you with the beauty of its preserved virgin forest within the Croix-des-Gardes Nature Park and Forest which has been classified a Sensitive Natural Site. 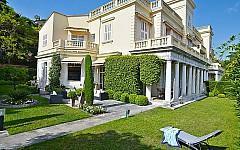 Many villas in Cannes Croix des Gardes built in the nineteenth century were surrounded by botanical gardens that still exist and are witnesses to the acclimatization movement initiated in 1850s and which included also the French Riviera. Croix des Gardes is also the neighborhood favored by the British Community, containing some prestigious residences such as Villa Eleonore, Villa Victoria, Beausite, Parc Vallombrosa and Villa Rothschild. You like Cannes and you decided you want to invest in this exceptional location, then choose among a contemporary villa in Croix des Gardes, a renovated apartment near La Croisette, a newly built top floor duplex with sea view in La Californie or a Provencal villa for sale in Cannes Croix des Gardes with pool. Discover them all in PALM REAL ESTATE’s stylish and exclusive selection. Spacious modern style villas, beautiful houses in gated domain, renovated family homes and luxurious apartments have been selected for you both for their value and character but also for their real estate investment potential. 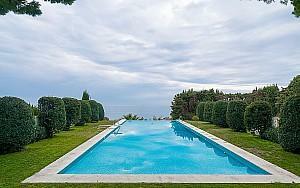 Those who dream of a villa in Cannes Croix des Gardes, should not hesitate to contact us. 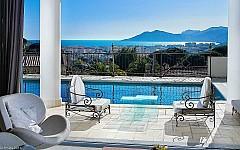 We will offer you professional guidance in your search for the perfect home on the French Riviera. Our team of real estate agents is at your disposal in case you need additional information regarding the luxury properties presented in our offer.